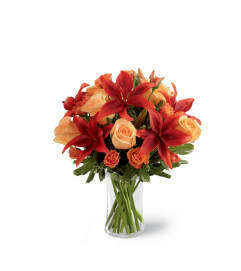 FTD® proudly presents the Vera Wang Dawning Delight™ Bouquet. 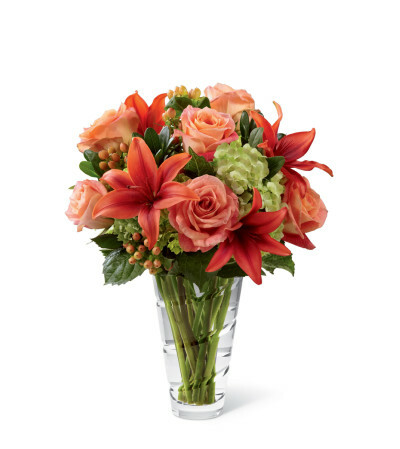 Blooming with the warmth and depth of the most magnificent dawn, this bouquet of coral roses, rust colored Asiatic Lilies, green mini hydrangea, peach hypericum berries and lush greens is sure to please with its sweet sophistication. 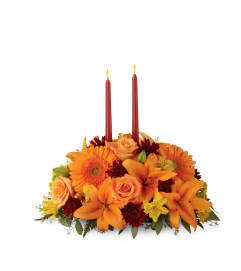 Presented in a modern clear glass vase, this stunning arrangement creates a warm sentiment of sunlit charm set to celebrate any of life's special occasions.